Laguiole of the registered trademark " AU SABOT".A French firm established in1870 in the city of Thiers. 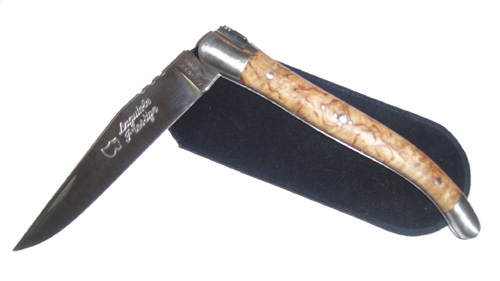 Cheese knife in juniper wood ( very fragrant) with two stainless steel bolsters. Presented in black cardboard chest.